With over 20 years of electrical projects behind us, you can rely on Mandel Electric for all your electrical work. Our Residential Services provide tenants and homeowners with safe and reliable options for all types of electrical work around the home. From kitchen and bathroom retrofits to wiring upgrades, electrical panel upgrades, meters and service entrances our electricians bring an extra level of professionalism to all types of residential electrical projects. 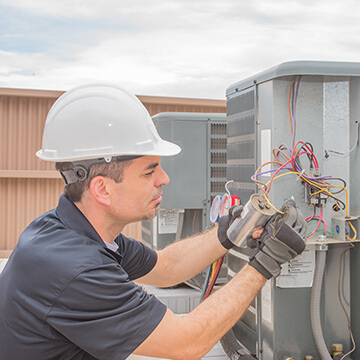 Our Commercial Services include electrical troubleshooting, electrical repair, and all types of electrical installation services for small business owners and commercial operations. Our electricians are fully trained and equipped to work on all types of commercial electrical equipment including generators, AC Units, electrical panels and lighting systems. Our Industrial Services provide manufacturers and municipal facility managers with a single source solution for all their electrical needs. Whether it's troubleshooting and repairing motors and pumps, installing a timer or replacing a relay, our electricians have the industrial skills and experience to get you back up and running as fast as possible. In Michigan, you need to be a licensed electrician or a registered electrical apprentice to do any electrical work in homes and businesses. Failing to hire a licensed electrician can result in injury, death, loss of property, or denied insurance claims. 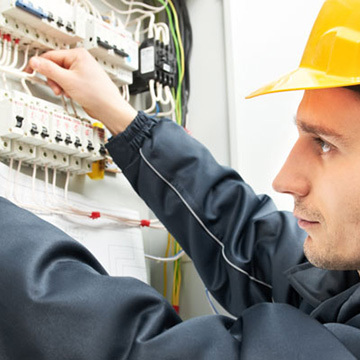 Our electricians are fully licensed, insured and equipped to carry out all types of electrical work in Michigan. Our work and best practices meet or exceed the electrical safety standards set out in the National Electrical Code, and the Michigan Residential Code. If you want complete peace of mind when it comes to your electrical repairs and installations, contact us for a free no-obligation estimate. "Thank you for the excellent service!" Mandel Electric is a family owned and operated electrical contractor based in Marquette, Michigan. We've been providing quality electrical services to homeowners and businesses in Michigan for over 60 years. If you're the kind of person who appreciates quality workmanship and reliable service, then we're the right electrical contractor for you. Call or Contact us for your free estimate.